BiRD (Belgian Industrial R&D) celebrated their 10th anniversary today in Palais des Académies in Brussels. The meeting included an exhibition of selected examples of multi-disciplinary R&D co-operation. 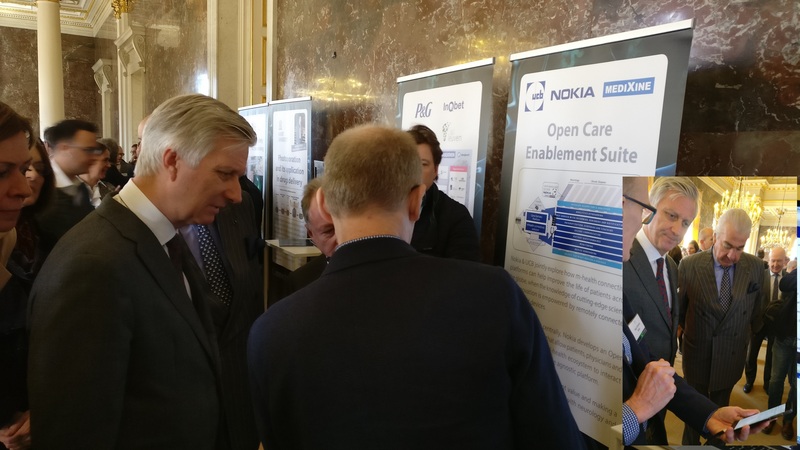 Nokia showed their Open Care Enablement Suite that is powered by Medixine. His Majesty King Philippe visited the booth for a demonstration of the solution.